Cloud. We have some great partnerships with industry-leading data providers and Lattice also invests in a fair amount of our own content aggregation and retrieval. When combined with a company’s internal data sources, the assembled data provides a 360-degree view of buying attributes that drive predictive insights to marketing and sales. By applying advanced data science, our applications enable marketing and sales to identify and predict buying behavior to improve conversions at every stage of the revenue funnel. 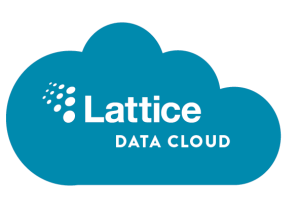 It’s an effort that we know takes work to manage but we know our customers value the Lattice Data Cloud because it helps drive decision making for their opportunities. How do we know this? It’s fairly easy to measure with each customer because we integrate and analyze customer transaction data including spend. And when you can compare the relative values of some data attributes in our Lattice Data Cloud against the values of overall customer spend, you get some great analysis and feedback on how helpful the Lattice Data Cloud really is! Take this example we recently ran for one large technology company. A few of the many data attributes we measure include various forms of job activity, website traffic and funding announcements. These are all common items that sales people are familiar with and may even have an internal source of information measuring each characteristic. An initial review of the chart shows that as the amount of each data attribute increases, the more likely it is that the customer will spend more on products and services. And this makes sense from an anecdotal perspective. Increases in the Lattice Growth Index category can include things like increased job activity, which is a sure sign of growth. Increases in the Business Visibility Index, which includes website traffic usually indicate that customers are visiting the website and potentially engaging in more business. Increases in Capitalization usually means funding announcements, which means that the customer has more money to spend on goods and services. But look at the data a bit more closely. Which attribute defines the best opportunity for success? In this case, surprisingly, the amount of web traffic clearly correlated to the best opportunities for customer spend and as a result, we’re helping this customer define better opportunities to capitalize on selling opportunities with these types of customers. 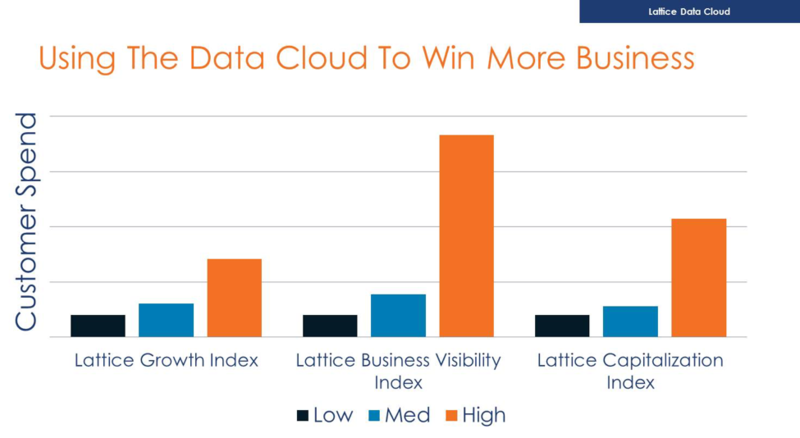 It’s one of the many ways that the Lattice Data Cloud is helping drive success with our customers!